The show that came out looking the worst after San Diego Comic-Con 2017 has to be Marvel’s upcoming live action Inhumans show on ABC. That first trailer for the series looks terrible! 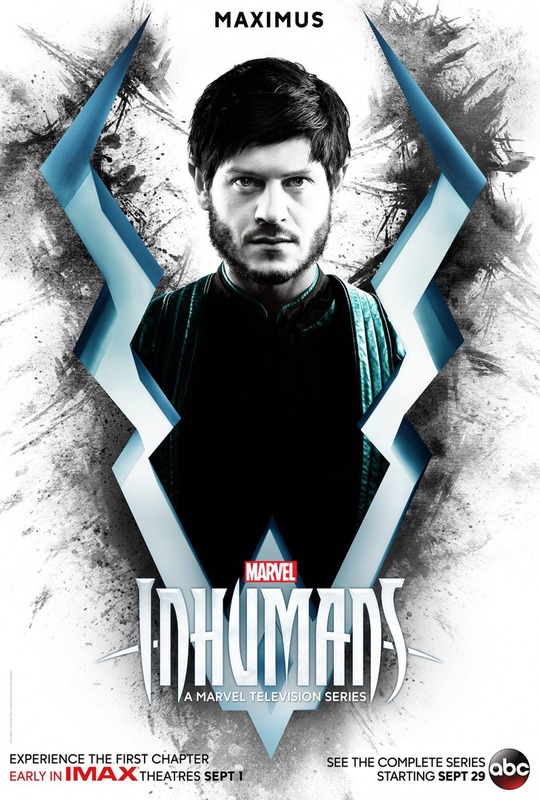 You have to wonder who looked at this show and thought it looked good, especially since some of the same Marvel people have been overseeing the new X-Men show on FOX, Gifted, which looks amazing. I will say Lockjaw looks pretty damn cool, and I’m definitely intrigued by Iwan Rheon’s Maximus. But why oh why does Serinda Swan’s Medusa look so, so terrible!?! 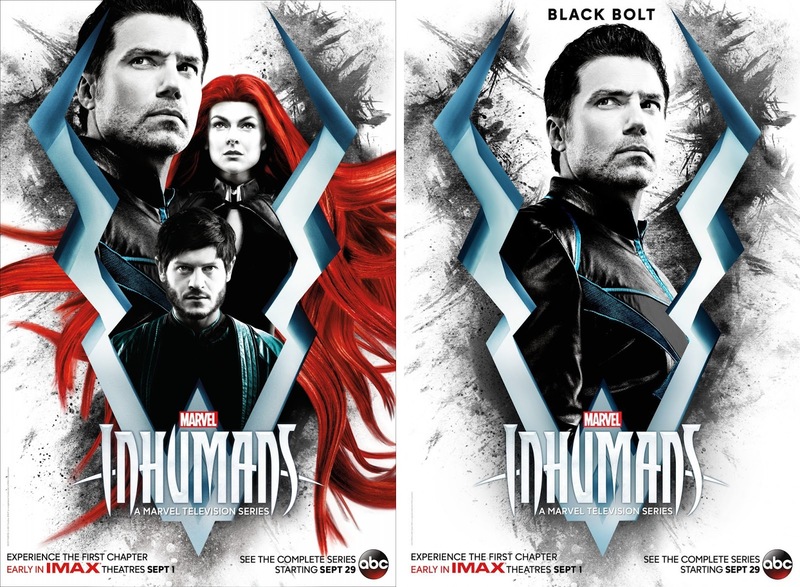 While we’re still a few months away from the show’s premiere, they have released a pretty cool looking new set of Inhumans character television poster set. I like how they’ve incorporated Black Bolt’s signature antenna, even though he doesn’t appear to ever wear it on the show. 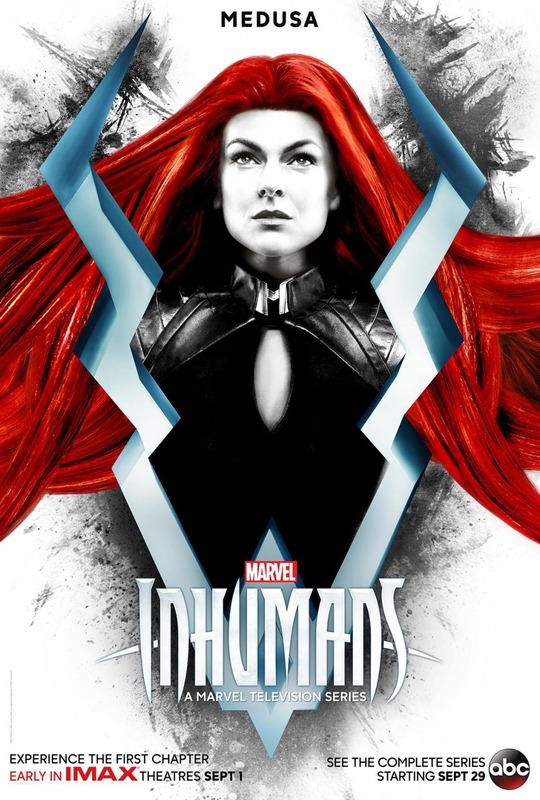 The first chapter of Inhumans will premiere early on IMAX in theaters on September 1st. 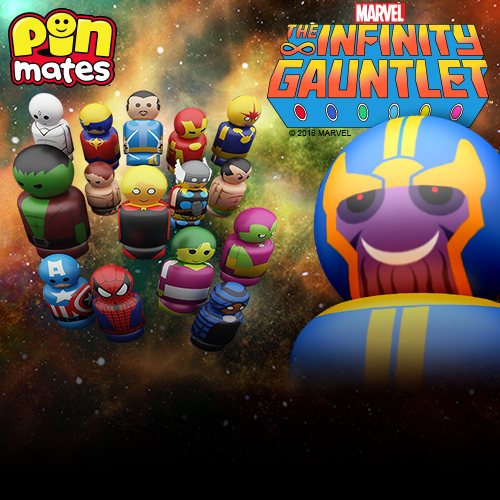 The series will then start airing on September 29th on ABC.